(Phys.org)—If you had to predict the probability of a catastrophic meteor striking the Earth, you would likely want the most accurate models on which to base your predictions. But a new paper shows that, because the most accurate models are generally more innovative and complex, they may suffer from a higher probability of error. Consequently, the most innovative and accurate models may not offer the best methods for making predictions, especially of rare, high-consequence events. Yakov Ben-Haim, a professor of mechanical engineering at the Technion-Israel Institute of Technology in Haifa, Israel, has investigated this "innovation dilemma" in a recent issue of The Proceedings of The Royal Society A. "A model that uses innovative and new concepts and results may in fact be more prone to error than a more standard state-of-the-art model," Ben-Haim told Phys.org. "Innovative models reflect progress, but not all progress is actual improvement." To be clear, Ben-Haim makes a distinction between valid conclusions and sound arguments. His focus is not on reaching a valid conclusion per se, but rather on developing the most logically sound arguments that use models to reach conclusions. As he notes, it's possible to reach a valid conclusion with a flawed argument. But a highly sound argument has a higher probability of yielding valid conclusions, in general. The main result of the paper is that there exists a tradeoff between soundness of argument (an indicator of performance) and robustness to error in the argument. 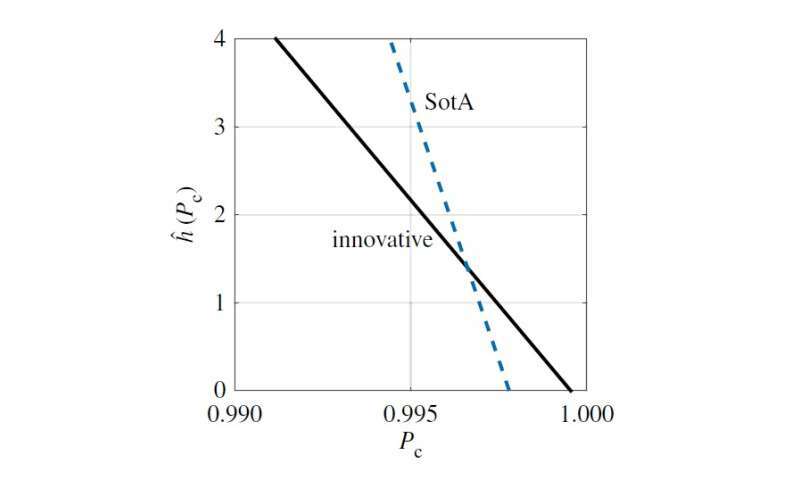 The exact nature of this tradeoff differs for different arguments, and innovative models may be subject to a more severe tradeoff than simpler models. To elaborate, while an innovative model may be capable of achieving a more sound argument than a simpler model, it may also have a higher probability of error and therefore be less reliable in predicting very rare events. So it may be advantageous to use the simpler model, if its probability of error is lower. Overall, the idea is that different models work better for different situations, and that the usual default assumption—to use the most advanced or sophisticated model—may not be the most reliable approach. In particular, situations that involve making predictions for low-probability, high-risk events—such as a catastrophic meteor strike, or an explosion at a nuclear power plant—may benefit from simpler models. That's because these events have such a low probability of occurring that the probability of error in the argument may actually exceed the probability of the event occurring. In such a case, the error reduces our confidence in the estimated probability of the event occurring to such a large degree that we may be better off going with a simpler model because of its lower probability of error. In order to arrive at these results, Ben-Haim used an approach called info-gap theory to analyze the soundness and error of logical reasoning. Info-gap theory is traditionally used for making decisions in situations with very high levels of uncertainty, and has been used in areas such as engineering, economics, and medicine, among others. The application of info-gap theory to assess the uncertainty of an argument is a new and quite different use, and demonstrates that the theory can be extended to more wide-reaching areas. "Info-gap analysis of robustness to error provides a tool for enhancing the ability to predict rare, high-consequence events," Ben-Haim said.